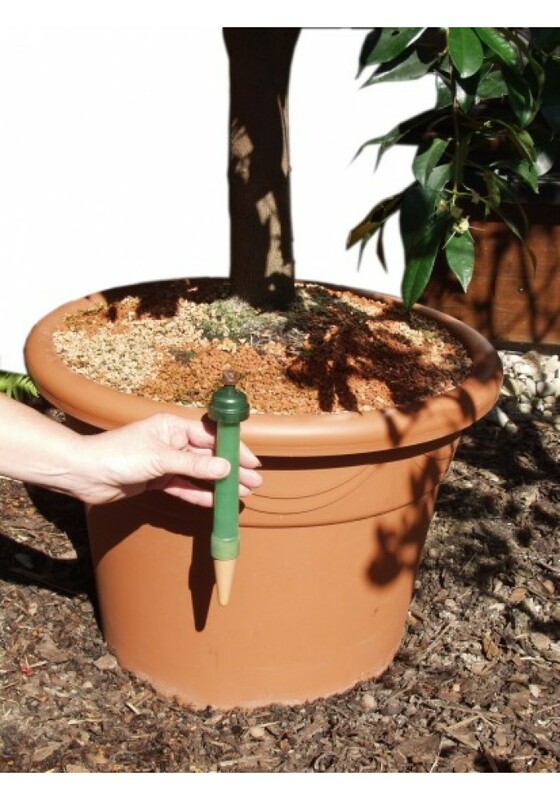 The Drip-Blumat Maxi is designed for watering large container plants with a pot height of at least 30 m, solitary plants in troughs planted a minimum of 30 cm deep as well as solitary perennials in the garden. The Tropf-Blumat Maxi enables the moisture levels in deeper layers, close to the roots, to be monitored and regulated. Watering occurs more seldom but therefore more intensely - the surface of the tub stays drier. 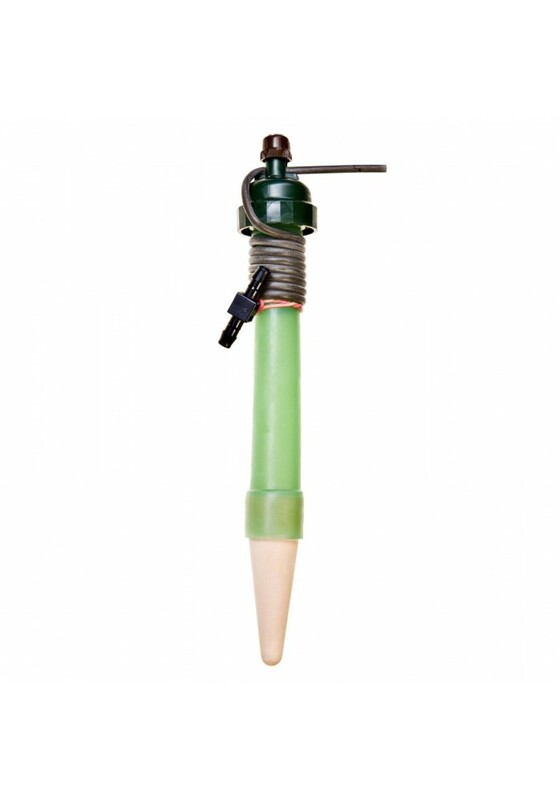 Before installing the Tropf-Blumat Maxi, a hole is normally predrilled or cored - the clay cone is then inserted and held in place using a mud slurry (see Instructions for Use) in order to achieve good soil contact. 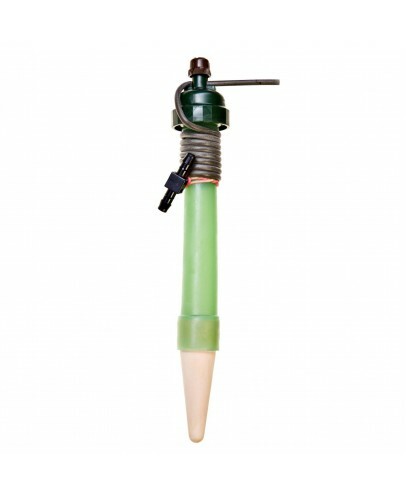 Tip for use: predrill or core the hole to assure the necessary contact between soil and ceramic cone. 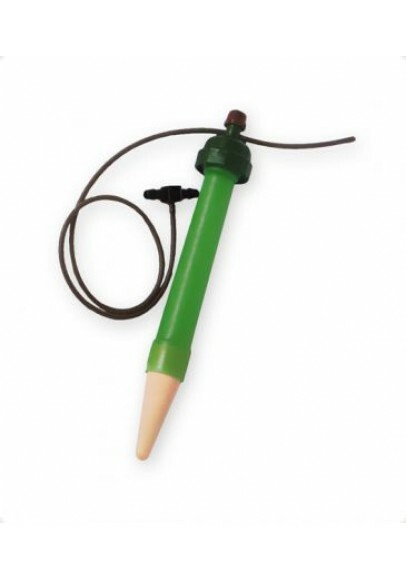 Accessory: tool for inserting the Tropf-Blumat Maxi. Delivery includes: 60 cm drip tubing and T-branch connector.